We got a nice Austrian surprise the other day from our friends over at Bachelor Records when we came home to two brand new singles on our doorstep. Both of them are well-worth your time. 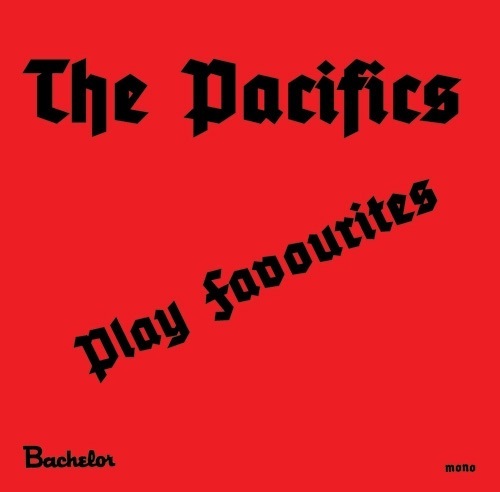 The Pacifics hail from Dublin, Ireland and put together this killer 4-song 7″ — The Pacifics Play favourites. It’s straightforward gnarly garage rock and roll at it’s best. You can check out a track from it below. This being our first taste of the Dublin-ites, we’re stoked to get our ears on more. Not sure exactly when or where we’ll be able to do so, but you know we’ll keep you guys posted. The other new single comes from Los Angeles’ Thee Tee Pees. The debut 45 for the group is a trashy, loud, chugging, farfisa-fueled two song single and it gives sense to why a lot of people in the LA area claim them to be the “worst band in LA”. The single is limited to 500 copies You can preview their song “You’re a Turd” right here. We encourage you all to head on over to the Bachelor site and snag both of these fine singles — and grab that Indian Wars LP while you’re at it.